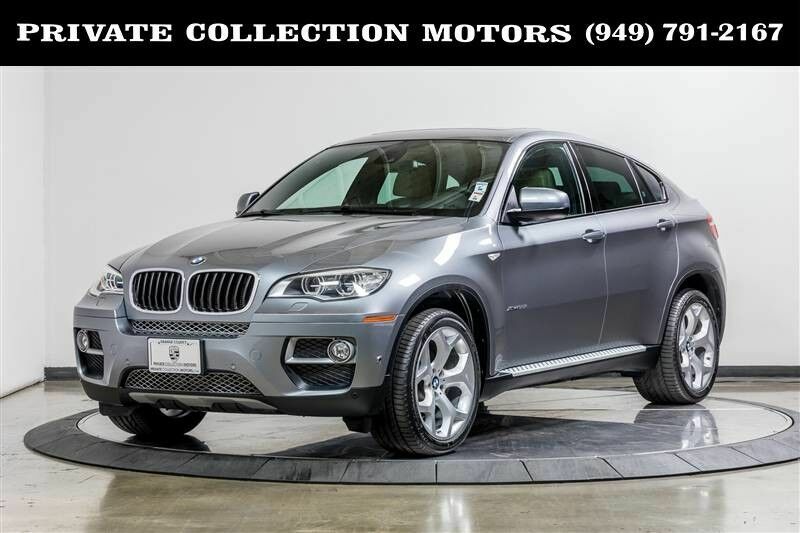 Up for sale is a NICELY KEPT 2014 BMW X6. This 2014 X6 has only 44,000 miles. It is finished in a Space Grey Metallic exterior followed by a Sand Beige interior. The X6 makes a great daily driver and a nice family car that keeps everyone comfortable. It is a 2 OWNER CERTIFIED CARFAX car and comes complete with 2 keys and owners manual. It has great options and features such as: Navigation, Rear View Camera, Parking Sensors, Rear Air Conditioner and so much more! Let our 100% eBay feedback speak to for our cars and sales staff. We offer financing and extended warranties that are honored at ANY BMW SERVICE CENTER. We can help arrange shipping and welcome pre purchase inspections. For more information please contact us at 949-791-2167. We look forward to hearing from you.